She toddled into the kitchen, lips turned up in a proud smile. A white sunhat perched on her head, floppy brim covering half her face. A pink purse swung from her wrist, three strands of beads jangled around her neck. “Don’t you look lovely!” I exclaimed. A glance in my direction told me she’d heard me, but her focus quickly moved away as she turned to her father. Her eyes immediately began to sparkle, her grin spread from ear to ear, she came alive at his words. A couple of years have passed since that moment in our kitchen, but the memory is still fresh. 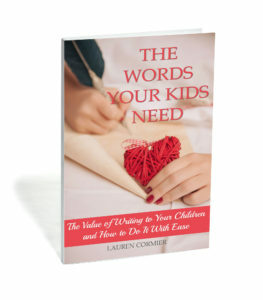 A little girl, barely two, who just wanted to hear those words; not just from anyone, from her Daddy. I’ve read quite a few articles about the damage done by calling our daughters pretty or beautiful. Those words focus on looks. They cause body image problems! They turn our daughters into mere physical beings while ignoring all their more important attributes. Maybe it’s possible that my two year old had already been programmed by society to believe that she needed affirmation from men to gain self-worth. Maybe the warm thrill I feel when my husband tells me I look good is simply an emotion gone wrong. Or maybe there’s a piece of us, whether we recognize it or not, that wants to be beautiful. And not only wants to be beautiful, but wants to be recognized as such. I tell my daughter she’s pretty. I also tell her that she’s smart and funny and clever and a great soccer player. Saying one does not negate the others, just as telling my sons they’re handsome does not negate their other attributes. Yet as much as she seems to appreciate me telling her she’s beautiful, it’s her daddy who she really wants to hear it from. Every day he tells her she’s beautiful. He says it when she’s all dressed up in her princess costume. He tells her when she asks him to dance. He whispers it in her ear when she’s drifting to sleep. And he says it first thing in the morning when she’s in a pee-soaked diaper and her hair looks like a rat’s nest. He tells her she’s pretty no matter what she currently looks like because as someone who loves her with his whole heart, she is beautiful to him both inside and out, no matter whether she’s dressed up like a princess or two days into a stomach bug. 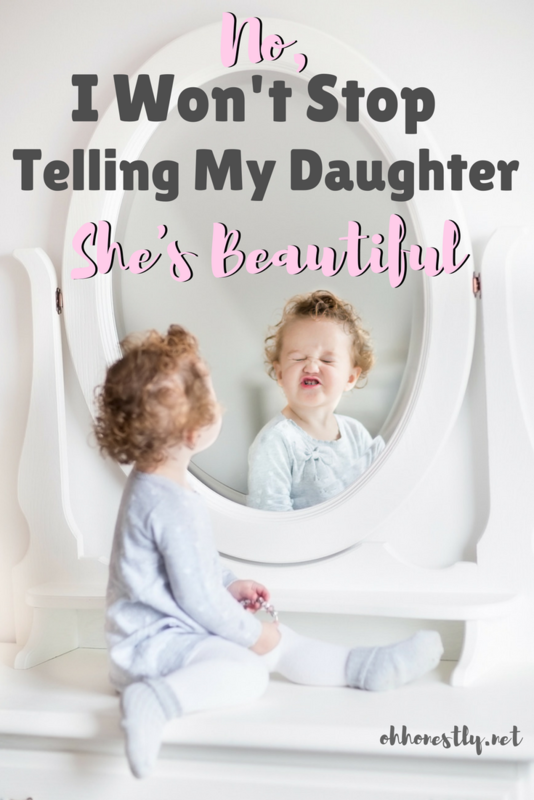 My daughter wants to be beautiful. She wanted to be beautiful when she was two and she’ll want to be beautiful when she’s 82. If we follow the advice that tells us that any focus on a woman’s looks is detrimental, we will refuse to call her beautiful in an attempt to make her realize that her mind and soul are much more important. Or we can choose to understand that while the intent of that advice comes from a good place, there’s nothing inherently wrong with wanting to be beautiful. The problem occurs when that desire becomes an obsession. And how does it become an obsession? By the people who love her and have her best interests at heart telling her she’s beautiful? Or by always feeling that deficit and looking for someone, anyone, to fill it? To me it makes far more sense for my daughter to hear she’s beautiful from her father, who will show her that her beauty is external and internal, than for her to never hear it until she grows up and finds someone who will tickle her ear for their own selfish gain. So do me a favor. Go tell your daughter that she’s funny and smart and strong. Tell her you’re amazed at how quickly she can solve a math problem and what a creative problem solver she is. Then tell her that she’s beautiful. It won’t break her. I promise. Loved this, Lauren! Our daughter is 23 and married, but there is still a special sparkle in her eyes when her daddy tells her she is beautiful. She is smart and successful…and beautiful.